At California Farm Insurance we have the Poultry Farm Insurance you need and deserve. Your Broker Athena Insurance and Financial Services has the types of Farm Insurance that you need for your Poultry Farm operations. We have been in operation sine 1996. Have you found it difficult to find Poultry Farm Insurance? We know what is happening in the market place and want to let you know that obtaining a quote is easy. Let us do the heavy lifting and do the shopping for you. Simply complete the attached .pdf document and submit to us by fax 209-223-3227. Most quotes can be completed within 48 hours. If you currently have your “experience” letter for prior insurance please remit with your application. Thank you. What kinds of Poultry Farms do we insure? We evaluate each application on it’s own. 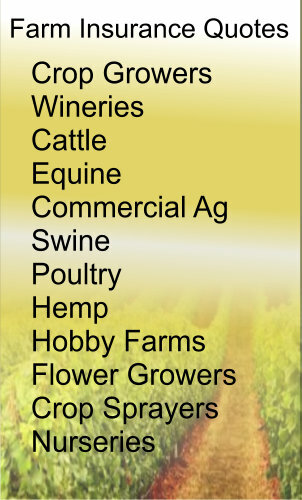 We do insured “new ventures” on small startups to very large and established farms. Please complete the application to the best of your ability and fax or email. Fax to 209-223-3227. Important note: You must “print” the form and then fax it. If you try to perform a “save” or “save as” function the data will not save. Please print the form and retain a copy for your records. We may need to contact you to ask clarify any answers that have not been completed. Steve Valencia: Please feel free to post a comment on this farm and ranch quote request form. Thank you.